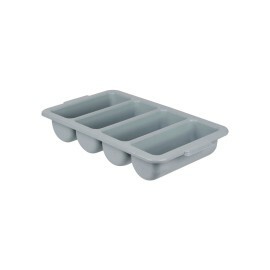 DimensionWidth : 43 cmHeight : 18 cmLength : 62 cmColorsGreyWhiteFeatures And BenefitsWhen moving soiled dinnerware back and forth between the dining area and ware-washing stations, it's important to have a product that will withstand repeated, heavy use. 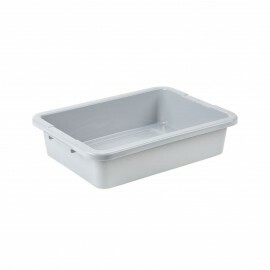 This durable grey bus tub is a true workhorse, with commercial-grade construction that will ho..
DimensionWidth : 42 cmHeight : 17 cmLength : 53 cmColorsGreyWhiteFeatures And BenefitsWhen moving soiled dinnerware back and forth between the dining area and ware-washing stations, it's important to have a product that will withstand repeated, heavy use. 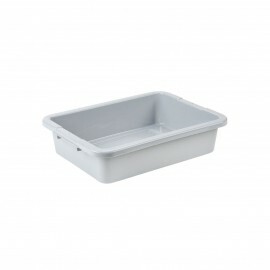 This durable grey bus tub is a true workhorse, with commercial-grade construction that will ho..
DimensionWidth : 38 cmHeight : 15 cmLength : 53 cmColorsGreyWhiteFeatures And BenefitsWhen moving soiled dinnerware back and forth between the dining area and ware-washing stations, it's important to have a product that will withstand repeated, heavy use. 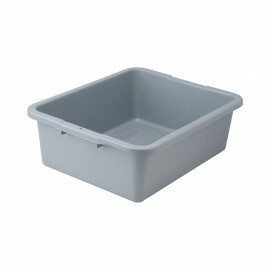 This durable grey bus tub is a true workhorse, with commercial-grade construction that will ho..
Dimension Width : 31 cmHeight : 13 cmLength : 37 cmColorsGreyWhiteFeatures And BenefitsWhen moving soiled dinnerware back and forth between the dining area and ware-washing stations, it's important to have a product that will withstand repeated, heavy use. 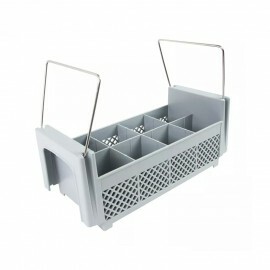 This durable grey bus tub is a true workhorse, with commercial-grade construction that w..
DimensionWidth : 30 cm Height : 10 cmLength : 53 cmColorGreyFeatures And BenefitsIdeal for storage, dispensing of utility and condiment packets Made from resin formulation for strength, and designed for simultaneous washing of several different sorts of culteryStrong and practical..
DimensionWidth : 60 cmHeight : 88 cmLength : 54 cmColorGreyFeatures And BenefitsIdeal for storage, dispensing of utility and condiment packets Made from resin formulation for strength, and designed for simultaneous washing of several different sorts of culteryStrong and practical..